Black Satan Tarantula - Chilobrachys sp. 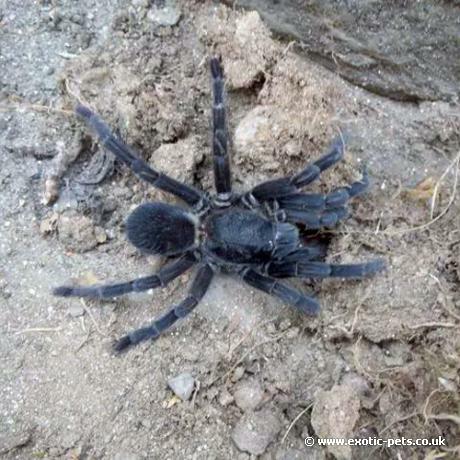 "Black Satan"
This is a new species to the hobby (2014) that were originally collected from Nepal and are thought to be a Chilobrachys species. They have a jet black appearance and a typical fiery temperament which has given them the name "Black Satan".